mold costs in China, is it cheap or expensive? Our mold costs start with an amount of approximately 1000 USD / euros for small molds , creating small parts with dimensions such as 50*20*10 Mm..
Injection molding is therefore only feasible ( due to these necessary start-up costs ) for producing series starting from approx. 3,000 products. In order to make a good estimate of the mold costs, it is important that the design of the desired product is finished and according the general design rules, and that the expected production volume per year is known. Additional information as part material and quality, product life time will be used to fine tune the mold costs.. The design of the product: the more complex the design- structure of the product, the more mold parts are necessary to shape it. The 2 main aspects that determine the cost price of a mold are listed below. Product size: the larger the product, the larger the mold. In the simplest scenario, the mold has one division and therefore consists of two halves. 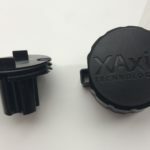 However, many products are provided with all kinds of details and require a more complicated mold construction. The requirements that are set on the product surface. In a situation of annual deliveries of up to 75,000 units, a single mold is usually used. That means: a mold with one product cavity. With a larger annual requirement, the number of cavities (cavities) can rise to more than 90. This depends on your machine and of course part size. With extreme large injection molded prats we stick to one cavity. With large annual collections, it is important that the mold can be maintained in a simple way. The construction of the mold needs to be optimized at this point. This requires a very stable mold construction. In practice, this means that most molds are made of steel. Every detail in the mold cavity is visible on the end product. This means that a scratch or a small damage will also be visible on the product. That is why the steel parts in the cavity of the mold are often extra hardened and made very wear-resistant. Every opening in the mold cavity that is larger than a fraction of a millimeter (0.03 mm.) Is visible on the product. 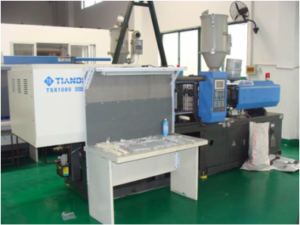 The mold parts must therefore be processed very accurately. Would you like more information about molds or the costs of having a mold made? Then contact us. We like to help you.